While private investigators are often hired by attorneys and law firms to aid with their cases, studies show that about 55% of them render their services to individual members of the general public. Credibility-wise, most private investigators come from a legal background. In fact, 51% of them are former law enforcers and 21% come from a military background. 13% were also legal experts prior to becoming a P.I. so you are assured that they know what they are doing. Whether it is for personal or legal matters, there could be plenty of reasons for one to hire a private investigator. When your problems seem to have taken hold of your life and nothing you do seems to work, maybe all it takes is a private investigator. For more information on private investigator costs please check this page. 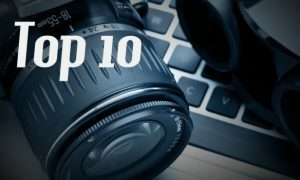 Here are 10 situations wherein you might need to hire private investigators, in no particular order. One of the most common reasons why people hire private investigators is to perform background checks on not just individual people but businesses as well. Business owners can hire private investigators to conduct a comprehensive investigation on potential employees which would include both their professional and personal history. A P.I. can dig up criminal records and other undesirable information about an applicant to protect the interest of his/her client company. The same goes for regular individuals looking to engage in business with a company. They can hire a personal investigator to collect information for them regarding a company in order to make sure they are putting their trust with the right people. If you feel as if your spouse or your partner has grown distant from you and has been exhibiting suspicious behavior, don’t let that feeling linger any longer. If you think your beloved is cheating on you, hiring a private investigator can definitely help you confirm your suspicions. Private investigators are the best people to turn to if you are trying to locate a missing relative or loved one. There could be many possible situations when this could happen. You may be searching for a long-lost relative or friend that you haven’t been in contact with for a number of years or worst-case scenario, one of your family members has suddenly gone missing. A private investigator would have the necessary resources and the experience to locate whoever it is you may be looking for. If you are going through a painful divorce and want the case to turn into your favor, hiring a private investigator would be able to help you do that. If your spouse has been going around your back cheating on you and hiding personal assets from you, a private investigator would be able to dig up all the necessary information for you to win your case. A marriage ending in divorce is truly unfortunate and it becomes even more devastating if the couple divorcing has children together. Child custody cases can become quite messy let alone extensive and the whole process can become quite tedious for both sides. With a private investigator on your side, you would be able to come up with irrefutable and compelling information that could potentially quicken your custody battle and make it favorable for you. Identity theft has quickly become one of America’s biggest problems with people losing millions each year. If you feel like someone has stolen personal information from you and you notice that you are beginning to lose money, hire a private investigator before it can get worse. Private investigators will help you find the criminal who had stolen your identity and depending on their experience, can also help you take certain precautionary measures to be able to counter the identity thief. Once the P.I. locates the identity thief, you can then take it up with the higher authorities. Businesses can sometimes find themselves losing a great deal of money due to fraud and embezzlement. If you own a business and you notice some of your assets missing, it would be best to hire a private investigator as he or she would be able to confirm improper payments and other anomalies as well as finding the culprit through extensive background checks and asset investigations on the business’ employees. It doesn’t matter if you’ve met someone online or in real life who you think has the potential to become a lifetime partner. It would still do you great good to hire a P.I. and conduct a background check on your potential partner in order to protect yourself from unfortunate incidents like identity theft and romance scams. You would also be able to find out whether or not your future partner is, in fact, the person he/she claims to be. Statistics show that about 7.1 million people in the US experience stalking every year. If you feel like you’re being stalked physically or virtually, a private investigator can help you find and prosecute your stalker before you are further victimized. There are times when the government itself needs the aid of private investigators to investigate the reported household incomes in order to make sure that those who receive government assistance really need it. This seems to be a growing problem as more and more Americans are requiring government aid.